The commercial sector has the greatest potential to significantly increase recycling on Oahu. The recycling of targeted materials is required by law for most businesses and government agencies. Establishments with liquor licenses are required to recycle deposit (HI-5) glass bottles; office buildings (including government offices) are required to recycle paper, newspaper and cardboard; and large food establishments are required to recycle food waste. In addition, all businesses operating in Oahu must be in compliance with the Plastic Bag Ban. You must fill out the Compliance Form(s) if you received the Tip Sheet mailer(s). If you did not receive the Tip Sheet mailer, do not fill out the form. Click on the applicable tabs above to get started. The City also has ordinances on restricting or banning certain commercial materials from disposal sites, all of which do not require Compliance Forms. For more information, visit opala.org. City & County of Honolulu Ordinance, Chapter 9, Section 9-3.5 requires large restaurants, grocery stores, hotels, hospitals, food courts and food manufacturers and processors to recycle food waste. In so doing, these establishments shall not place food waste in the same containers as those holding refuse. City representatives conduct random inspections of businesses affected by this law. Instructions: To begin this form, start typing your company name and select it from the drop down list. Spell your business name exactly as it appears on the Tip Sheet mailer (if your business name does not appear, do not fill out this form). After selecting your company name, the address will auto-fill. Leave the auto-filled address as is, even if it is not your physical address. Continue filling out the rest of the form and submit. To verify your compliance with this law, we must obtain information about your current food waste recycling program. Please complete this form, including electronic signature by the owner or manager certifying its accuracy, and return by April 8, 2019. If this form is not returned, an inspector will be dispatched to your establishment to verify compliance. Businesses not in compliance are in violation of City ordinance and may be subject to penalties. City & County of Honolulu Ordinance, Chapter 9, Section 9-3.1 requires all liquor-serving establishments to arrange and provide for the separate collection and recycling of glass containers. In so doing, liquor-serving establishments shall not place glass bottles and jars in the same containers as those holding refuse. City representatives conduct random inspections of businesses affected by this law. To verify your compliance with this law, we must obtain information about your current glass recycling program. Please complete this form, including electronic signature by the owner or manager certifying its accuracy, and return by April 8, 2019. If this form is not returned, an inspector will be dispatched to your establishment to verify compliance. Businesses not in compliance are in violation of City ordinance and may be subject to penalties. 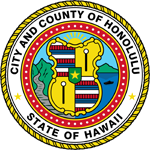 Effective June 1, 2014, the City and County of Honolulu temporarily suspended the applicability of subsection 9-3.1 of the Revised Ordinances of Honolulu, requiring liquor-serving establishments to arrange and provide for the separate collection and recycling of glass containers, for any business unable to access recycling services. This suspension pertains to non-deposit glass only. The majority of glass bottles from your business may be included in the HI-5 Beverage Container Deposit Program (e.g. beer, malt beverage, wine cooler, drink mix). Businesses are still required to recycle HI-5 deposit beverage containers per ROH subsection 9-3.1. City & County of Honolulu Ordinance, Chapter 9, Section 9-3.1 requires all office buildings with 20,000 square feet or more of office space to provide for the separate collection and recycling of office paper, newspaper and corrugated cardboard. In so doing, office buildings shall not place those recyclable materials in the same container as those holding refuse. City representatives conduct random inspections of businesses affected by this law. Instructions: To begin this form, start typing your company name and select it from the drop down list. Spell your business name exactly as it appears on the Tip Sheet mailer (if your business name does not appear, do not fill out this form). After selecting your company name, the address will auto-fill (if the address or name are incorrect, please email businessrecycle@honolulu.gov). Continue filling out the rest of the form and submit. To verify your compliance with this law, we must obtain information about your current office paper recycling program. Please complete this form, including electronic signature by the owner or property manager certifying its accuracy, and return by April 8, 2019. If this form is not returned, an inspector will be dispatched to your establishment to verify compliance. Businesses not in compliance are in violation of City ordinance and may be subject to penalties. City & County of Honolulu Ordinance, Chapter 9, Sections 9-9.1 through 9-9.4, regulate the use of plastic bags on Oahu, effective July 1, 2015. Businesses shall be prohibited from providing plastic checkout bags and non-recyclable paper bags to their customers at the point of sale for the purpose of transporting groceries or other merchandise. Businesses may provide, at the point of sale, reusable bags, compostable plastic bags, or recyclable paper bags for the purpose of transporting groceries or other merchandise provided they charge the customer a minimum or 15 cents per bag (effective July 1, 2018). Businesses are permitted to provide non-recyclable paper bags with or without charge to protect or transport prepared foods, beverages, or bakery goods. Please see the ordinance for exemptions. City representatives conduct random inspections of businesses affected by this law. Instructions: To begin this form, start typing your company name and select it from the drop down list. If your business name does not appear, do not fill out this form. After selecting your company name, the address will auto-fill. Leave the auto-filled address as is, even if it is not your physical address. Continue filling out the rest of the form and submit. To verify your compliance with this law, we must obtain information about your current bags and the 15 cent fee. Select the appropriate option: Business is in compliance – food waste is not disposed with refuse. Business is not in compliance and needs assistance. Business is not subject to this ordinance. Select the appropriate option: Business is in compliance – HI-5 glass bottles are being recycled and are not disposed with refuse. Select the appropriate option: Office building is in compliance – office paper, newspaper, and cardboard are not disposed with refuse. Office building is not in compliance and needs assistance. Obtain the information above from your recycling company. One 96-gallon cart equals approximately 200 lbs. Compostable Plastic Bag” means a checkout bag that is provided to a customer for the purpose of transporting groceries or other retail goods, that meets the current ASTM D6400 Standard Specifications for compostability and that is labeled: - With the Biodegradable Product Institute (BPI) logo as meeting the ASTM standard for compostability; and - With “Compostable” on both sides of the bag in either green color lettering that is at least one inch in height, or as otherwise specified; or within a green color band that is at least one inch in height in order to be readily and easily identifiable. “Recyclable Paper Bag” means a paper bag that: (1) is one hundred percent recyclable, (2) contains a minimum of forty percent post-consumer recycled content, and (3) displays the words “Reusable” and “Recyclable” in a highly visible manner on the outside of the bag. “Reusable Bag” means a bag with handles that is specifically designed and manufactured for multiple reuse and is made of: (1) cloth or other washable fabric; or (2) durable material suitable for reuse, including plastic that is at least 2.25 mils thick. Bags containing exempt items (Exemptions A-J) do not have to be Acceptable, and do not have to be charged a 15 cent fee. Bags used by customers inside a business to package loose items, such as fruits, vegetables, nuts, ground coffee, grains, candies, or small hardware items. Bags used to contain or wrap frozen foods, meat or fish, flowers or potted plants, or other items to contain dampness. Bags used to protect/transport prepared foods, beverages, or bakery goods, including takeout bags used at restaurants, fast food restaurants, & lunch wagons, to transport prepared foods. Newspaper bags for home newspaper delivery. Laundry, dry cleaning, or garment bags, including bags provided by hotels to guests to contain wet or dirty clothing. Bags sold in packages containing multiple bags intended for garbage, pet waste, or yard waste bags. Bags used to contain live animals, such as fish or insects sold in pet stores. Bags used to transport chemical pesticides, drain-cleaning chemicals, or other caustic chemicals sold at the retail level; provided that this exemption shall be limited to one bag per customer. If you have questions or need assistance, contact the City’s Recycling Branch at 768-3200 ext. 6 or email businessrecycle@honolulu.gov. Recycling information is also available online at opala.org. I solemnly declare that the foregoing statements are correct.